Top photo: Four members of the Grimes family at the 2018 Family Weekend event in the J-school: Morgan, Randy, Adrian and Erika. Twenty years ago, 1-year old Erika Grimes sat in her highchair babbling in a language that neither of her parents understood. Her mother, Adrian, stood listening to her first-born child’s chatter and watched as her husband Randy bent down in front of Erika, his face just a few inches from hers. Today, Erika can do more than say Gamecock — she is one. As is her sister Morgan, both her parents, and starting next year, her brother Jared. And like their parents, the Grimes children have each found their calling in the School of Journalism and Mass Communications. It would seem the university — and the J-school — have become something of a family tradition. 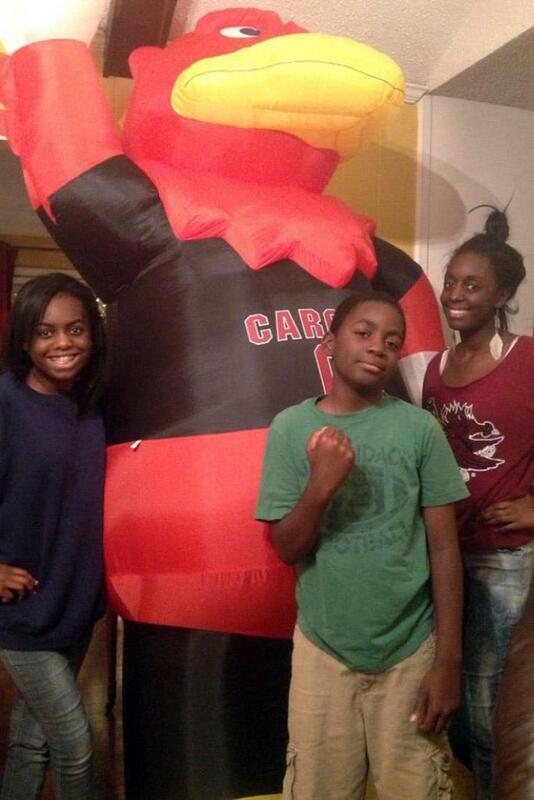 The Grimes family story doesn’t actually start at USC. 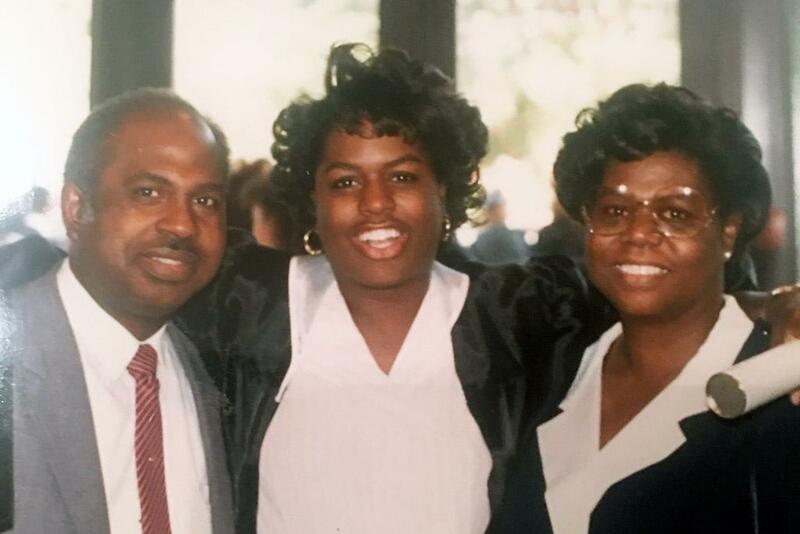 Instead, it starts in May of 1988, the year Adrian graduated from USC and landed a job at a news station in Charleston. Randy, who had graduated three years before, was WCSC's master control operator when the news station hired Adrian. 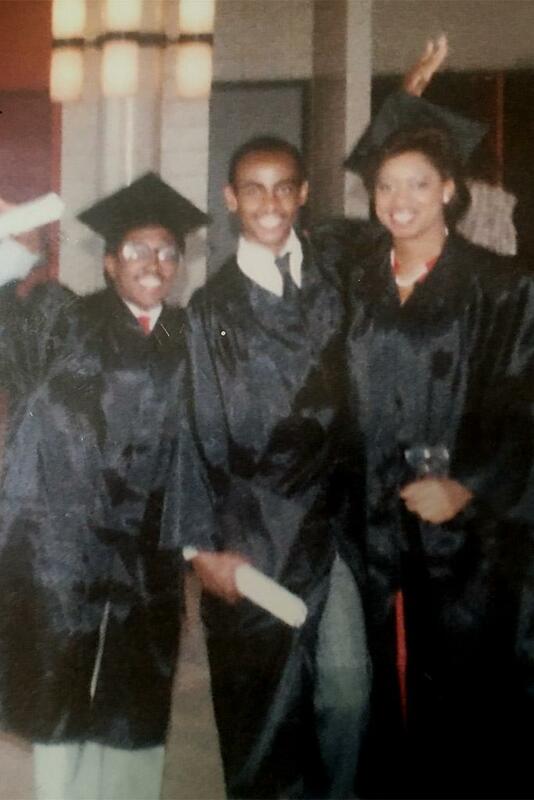 Despite both of them being broadcast journalism majors from USC, they did not know each other, as Randy graduated the semester before Adrian transferred to USC. 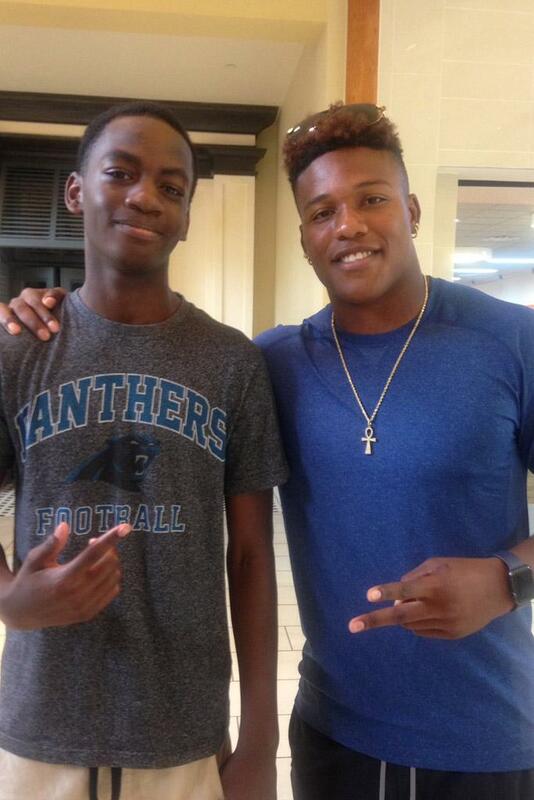 But they instantly bonded over their Carolina connection — and the fact that Adrian had interned with Randy’s dream employer, WIS in Columbia. 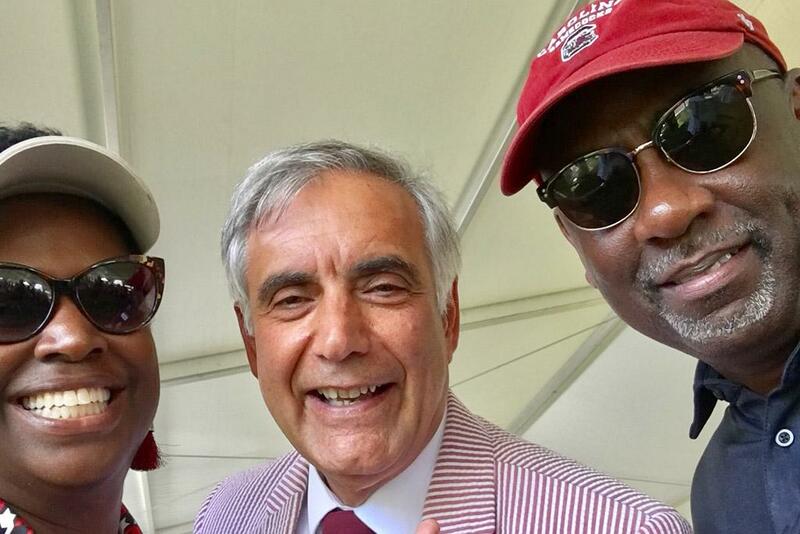 Randy and Adrian still laugh about their time as students learning under Dr. Lee Dudek inside the walls of the Carolina Coliseum. Randy cracks up as he describes the professor’s trademark look: a red sweater (“the only sweater he had”) and a coat with a watch that he would wear on top of his sweater sleeve. Dudek wasn’t an easy professor, but he was instrumental in making them the professionals that they are today. Though neither still works in broadcast, they haven’t strayed far from their journalism roots. Adrian is the manager of external affairs for the Medical University of South Carolina’s Center for Telehealth in Charleston, where she manages marketing communications and relations for her department. Randy is the head of the film and media arts department at Trident Technical College and brings much of what he learned at USC into his own teaching. They say that the school gave them a leg up over other applicants when applying for their first jobs and even over their coworkers once they received those jobs. She says it also helped her in an even bigger way — by encouraging her to find her voice. Discussions about current social issues in her journalism classes, along with support from USC, inspired her to learn more about what was happening in the world around her and to find a social issue that she was passionate about. She found that issue in Nelson Mandela’s fight against apartheid in South Africa. Adrian became involved with a group on campus that built shantytowns behind Russell House to protest the ongoing racial dispute in South Africa. The experience was transformative and helped her realize her own identity as she demonstrated to defend others. “Even though, you know, I was a black girl at USC, it’s kind of where I found my blackness,” Adrian says. Try as she may, Erika can’t remember her father’s face in front of hers as he tried to teach her the word “Gamecock,” but she can remember her ride to the elementary school each morning. She has witnessed her father’s fandom her entire life. Through good and bad, her dad has watched every game — cheering if they won and yelling if they lost. She makes sure to note that there were a lot of rough years for Carolina’s team, leading to a lot of distasteful, one-sided conversations between him and the TV. But through it all, his dedication never waned. Through his passion, the Grimes children developed their own special love for the university. 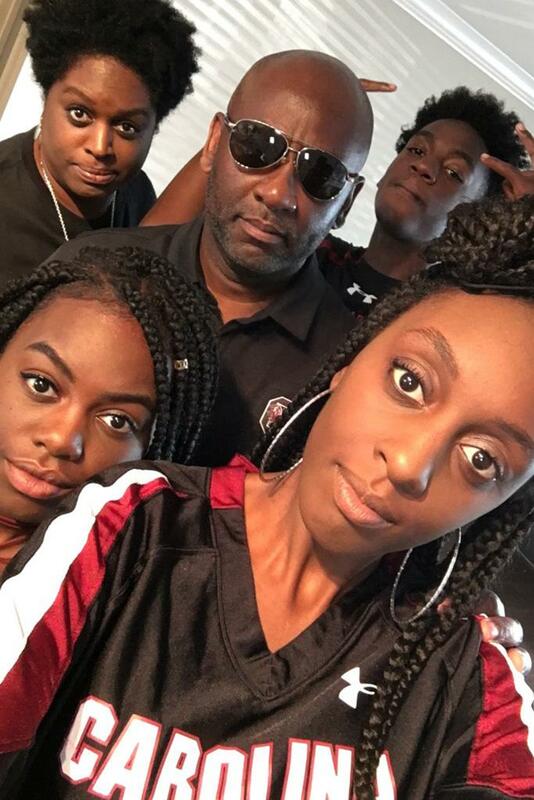 When it came time for each kid to pick which college they were going to attend, there were no questions – they all wanted to be Gamecocks. She says that the kids would always ask about the school, but that there was nothing bad that either she or Randy could say about it. That, along with the university’s strong journalism program, made their decision easy. 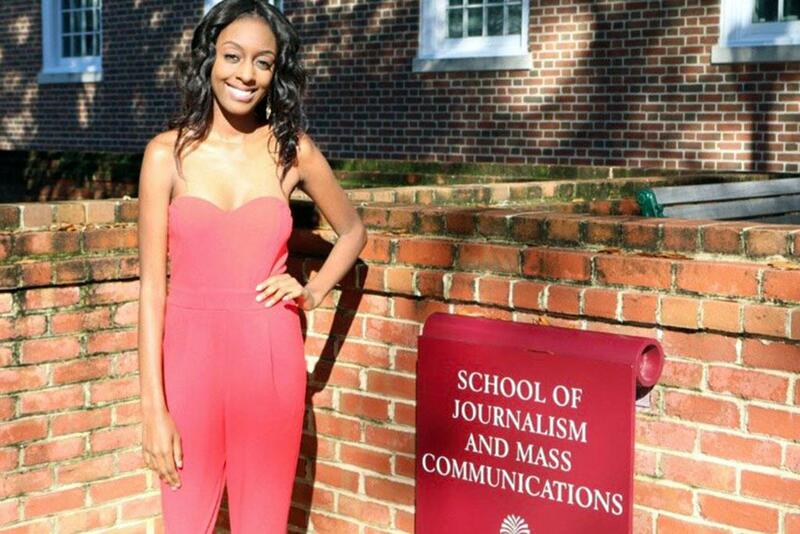 Like her parents, Erika found a place in the J-school, pursuing a major in public relations. 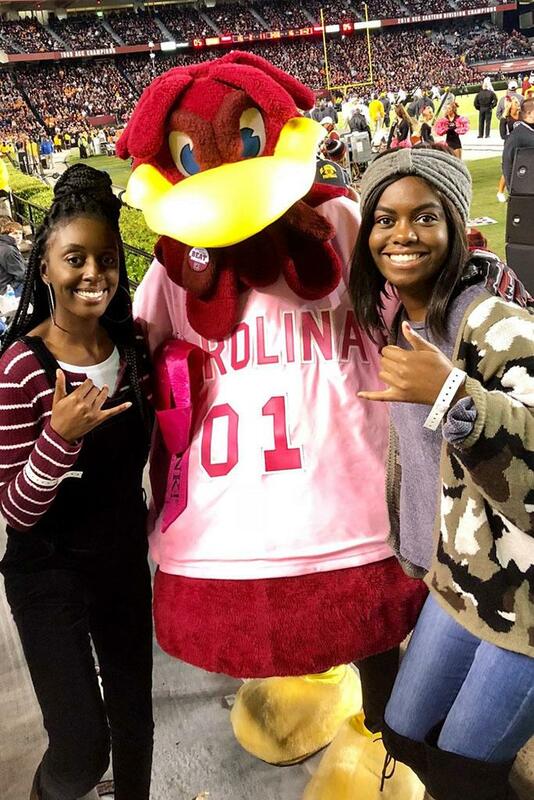 After completing her freshman year, she was able to share an experience with her two younger siblings that her parents couldn’t: an idea of what it was like to be a student at USC in the 21st century. She was honest with them about the challenges they’d face in their first year. Once Morgan’s initial choice was made, the two made the easy decision to live together. Then, they moved on to answering the harder questions: how they were going to decorate their apartment, which restaurants they were going to eat at first and what they were going to do with their weekends. 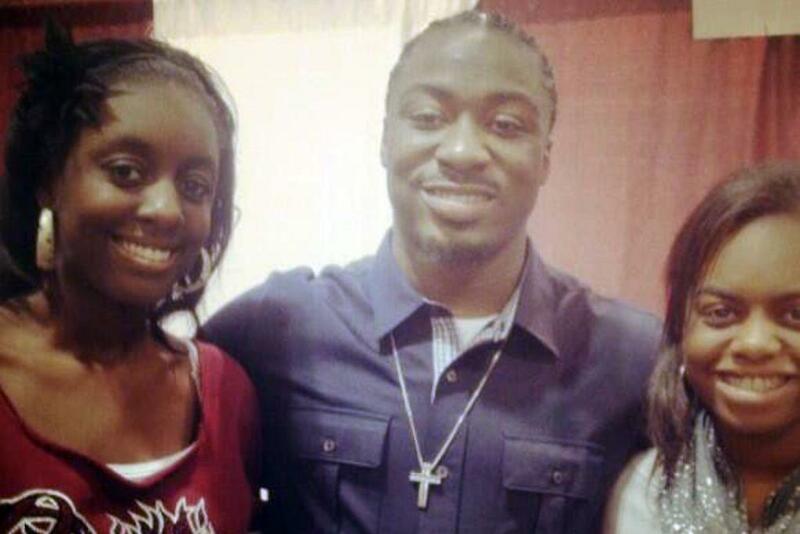 Having a sister at USC made Morgan’s transition a smooth one. Morgan is excited to give that same assistance to Jared when he comes in the fall. Like his parents and sisters, Jared also has his eye on the J-school, possibly as an advertising major. Morgan says that she has already started offering advice and that she plans to take him to different events on campus during his first week to make sure he gets assimilated into the campus environment. And, just as she and Erika did her first year, she and Jared plan to live together. Now that each member of the Grimes family has their own unique experiences as students at USC, conversations at the dinner table are a chance for each to share their own stories and thoughts on the university. “I think it’s just special that we can all think of Carolina, and we all have the same loves,” Morgan says. “We love the school, we love the football — and we have our individual things we love about it. More so than that, all five of them have made the J-school an integral part of their Carolina experience. And Erika and Morgan know that it’s preparing them for their future careers. For Randy, it’s a little more than that. The university has given him a team to love, a wife to love, three children to love, and a bond between all of them that runs almost as deep as love. 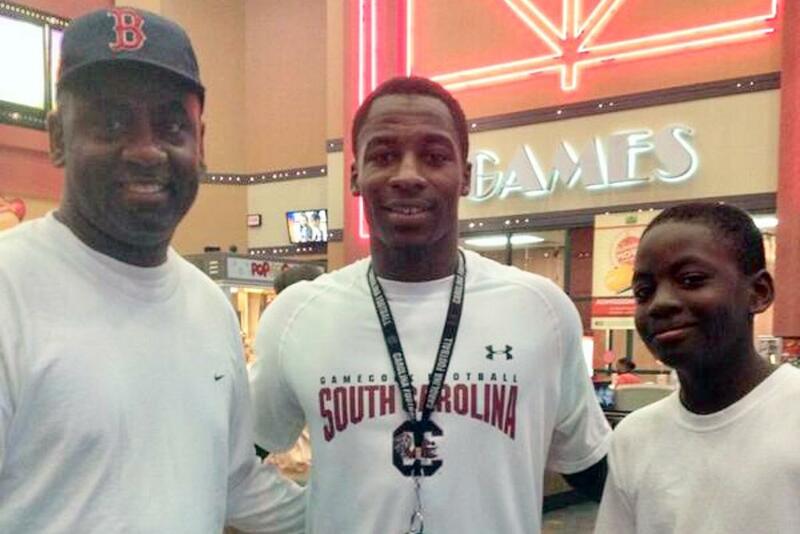 In USC, he has found something that has positively impacted his entire family. From the Coliseum to the new J-school building, photos of the family's journey through the years.